Falak and Salman Ansar might be engaged, but this conversation between Rushna and Salman sounded the warning bell loud and clear that though they were now betrothed and Salman grudgingly professed to love her, Falak’s egotistical fiancé continues to be enamored only with himself. His proposal, prompted largely due to Falak’s uninhibited confession of love, is simply a means to an end – fulfill a social obligation, and in the process, as a bonus, ensure a lifetime supply of Falak’s continual massaging of his massive ego. Much as the very shallow Salman might like to compare himself to the ocean, unique, limitless, powerful, and deep, he forgets that it is the ocean, which is not only cruel, as Falak aptly reminds him, but it is also that which is eternally at war with itself – churning day in and day out, without any respite, looking for a peace that remains tantalizingly elusive. Mr. Salman, though at this moment you may think that you have done Falak a favor, but who know perhaps in the long run she might be the one to teach you a lesson or two. Regardless of whether through Falak or not, looking forward to the comeuppance that is almost sure to come your way. Before all this though, we got a lovely glimpse into the bonding between Falak, her mom and naani. Though we’d seen Mehrunissa and even Falak getting irritated by naani’s nonstop naseehats, it was lovely to see all wanting naani to go with them to his house, to approve of Salman, and the way the very sharply dressed Mehrunissa was so comfortable introducing her very simply dressed mother to her future samdhis. Truly, though naani might complain about her daughter, she did raise her well. Similarly the bond between Falak and her naani was beautifully essayed. Clearly Falak is truly blessed as far as her family is concerned, now if only Ms. I’m-so-in-love-with-Salman, Falak could only open her eyes and see the obvious staring her in the face. Even as Falak remained willfully blinded, it was interesting to see everybody else around her expressing varying degrees of doubts about Salman’s proposal. Hamza questioned Falak’s putting Salman high up on a pedestal and obsessing about him to the point of almost worshiping him, her parents worried about the difference in their social status, naani worried about Salman’s family’s lifestyle and his lack of interest in religious matters. It was very refreshing the way everybody voiced their doubts openly; opinions were shared and discussed, everybody heard each other out and then ultimately gave in to Falak’s happiness. Oblivious to all else going on around her, Falak is like the proverbial three monkeys who want to see no evil, hear no evil, and speak no evil. In her view, no matter what anybody tells her, her brand new fiancé is Mr. Perfect. There might be moments of disquiet, of self-reflection, of feeling rejected, but all is brushed aside, the moment Salman bestows a pleasing smile on her. She’s constantly being humiliated, her infatuation relentlessly being tested by Salman. But like a moth to a flame, she steadfastly continues towards the enticingly beckoning flame, destructive though it might be. What remains to be seen is how far her infatuation extends – is there a limit to Falak’s obsession? The look of absolute shock on Falak’s face when Salman took of his engagement ring was something to behold. Has Salman has pushed her too far this time? An explosive ending, this cliff hanger that left me yearning for the next chapter. With each installment, Shehr-e Zaat opens up new avenues of reflection on the various facets of human nature: the obsessions, the desires, the wishes, the dreams, the compulsions that drive us. Once achieved, whether these make us happy or not is a whole different question. Why is it that once we gain our materialistic objectives we are still left feeling empty handed? Were we created to pursue and fulfill these worldly ambitions or is there a greater purpose to our being human? 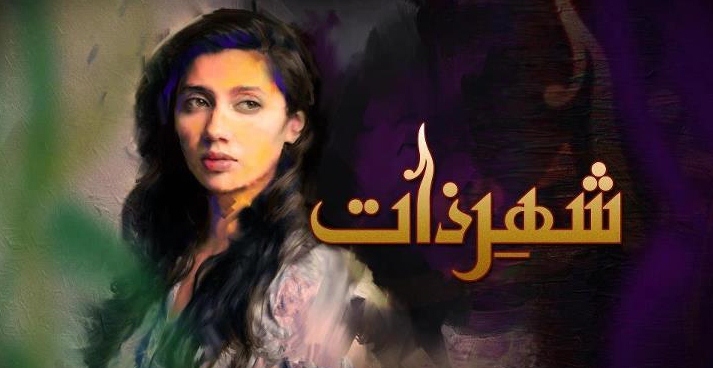 Umera, Sarmad and the entire team of Shehr-e Zaat, congratulations once again on a job well-done.